Today I traveled to York for work, and I’ve spent a happy evening sat in the pub which my husband’s parents ran when he was a boy. 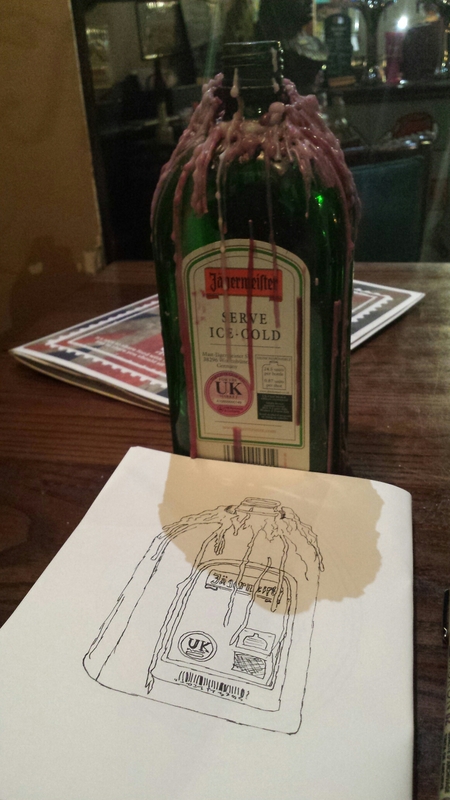 As my creativity for the day I sketched this Jagermeister bottle on the table, with its coating of drippy candle wax. I’m pleased with it. The neck of the bottle is too short, but the label, base of the bottle and wax are good. 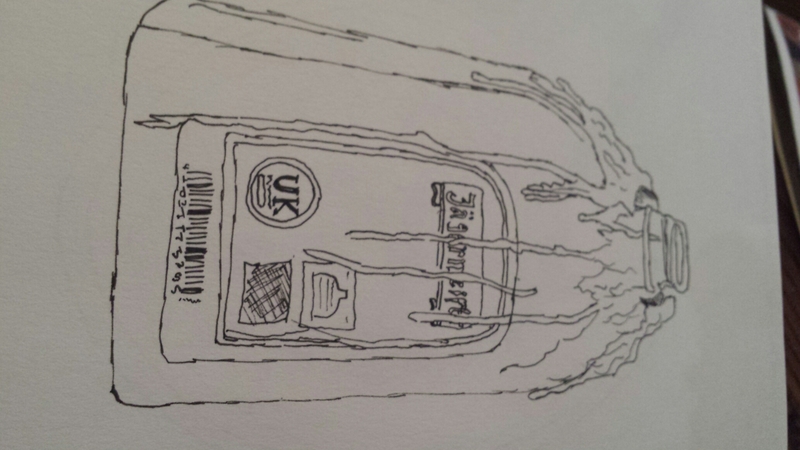 Practice makes, if not perfect, certainly improvements and happy half hours sketching in pubs.